A step by step guide on how to Hang a Door including necessary tools, estimated costs, time frames, best techniques and what not to do. Looking to install a new door? This how to guide on how to hang a door is easy to follow, includes step-by-step instructions as well as a video tutuorial. 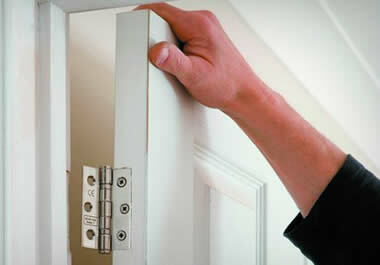 Installing a door in an existing jamb is a project which should take anywhere from 4-8 hours to complete. 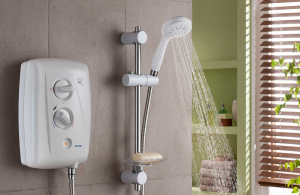 Most homeowners, even those who aren't experienced with DIY projects, should find this project relatively easy to complete with the right tools. 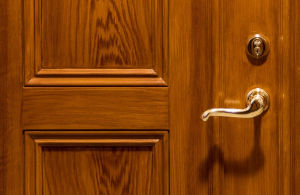 If you are replacing the door you currently have, or are moving into a home, which has a fitting for the door, and you simply need to hang a new door, this post will help you devise a plan to ensure a quick and easy setup process when installing a new door. 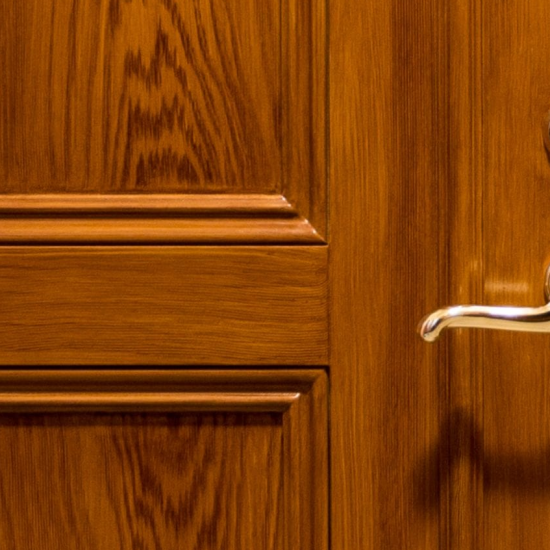 The right how to guide will help you easily replace an old door and install a new one. 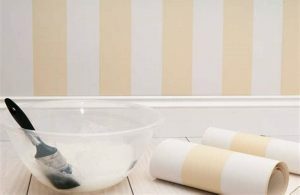 This simple guide is a step-by-step set of instructions which will make replacing an old door with a new one a simple job for any homeowner. Remove the hinges from the old door as well as the knob and lock set. You can use these when installing your new door if they aren't damaged or worn. Simply take the old door and place it on top of the door you'll install. 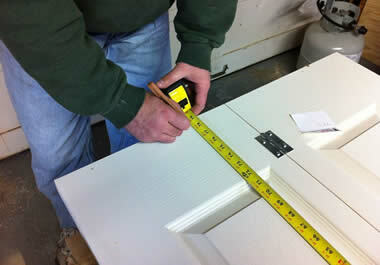 Trace the dimensions and using your electric saw, trim the new door down to size. This will ensure it fits perfectly in the old frame. Similarly to how you trimmed the door place the old door on top of the new door once again and trace where the hinges should go. 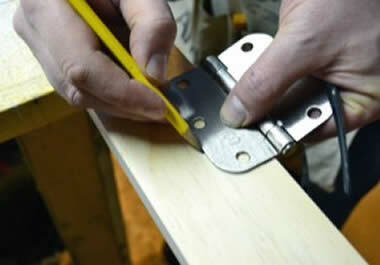 Also trace the area for your new door lock set, which you will cut using your drill. 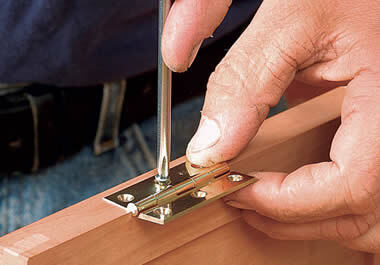 Use a utility knife or blade to score the doors edges to install your hinge mortise; using your chisel make perpendicular lines to the depth which you will be mounting the door plate. Now with the chisel and flat edge, remove the score marks, which will create a smooth surface, where you can lay down the hinges for installation. Using your electric drill over the area you traced for the door holes, drill through the door to install the door knob. You should also install the hinges at this point. Hang the new door in place and test to see if everything is functioning, and if it is opening/closing smoothly. 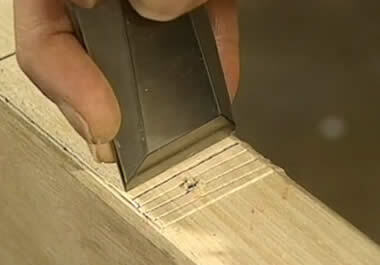 If it is rubbing against the surface simply trim/shave down the wood until it it fits perfectly. When installing a door, you want to make sure you have all the right tools handy before you begin. 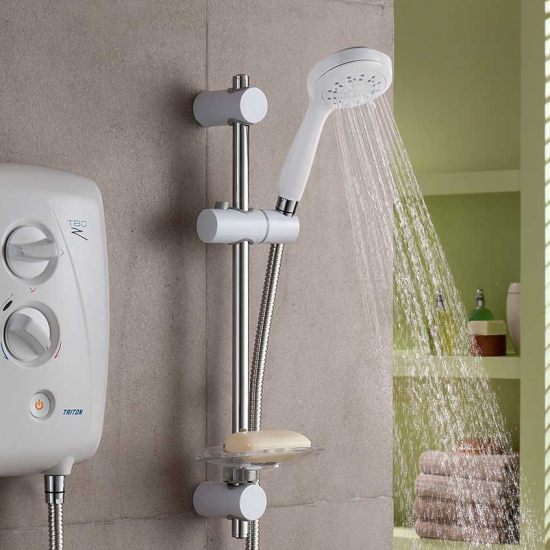 It will allow you to work quickly and avoid delays. In addition to this, choosing the right door material is also extremely important. 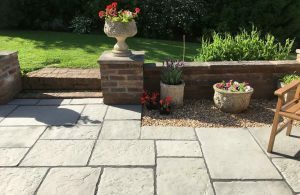 You want something which is sturdy, a durable material, and one which is easy to work with/cut/drill; it should also be a material which isn't too heavy, which will make it extremely difficult to work with and hang, especially if you are doing the project on your own. 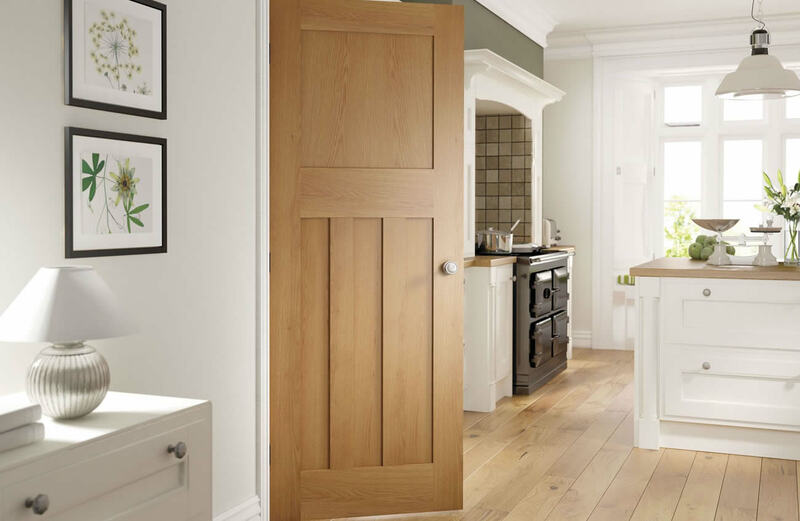 Matching the style and colour of the door to your decor is also an important factor. You might also want to consider sliding doors, space-saving doors and other unusual designs which you might not have come across before. It is important to make sure you are precise in the measuring and tracing. It is best to cut less/drill less, and trim less than is required, as opposed to going too far. Remember you can shave down and make adjustments; but, if you overcut, you are going to have to purchase a new door, and it is a wasted job if you aren't careful. So, take the time to properly measure dimensions and make sure everything is perfectly aligned before you begin the drilling and cutting. Should you hire a tradesman for this door? You don't have to, no; this is actually a job which most homeowners can do on their own, if you have the right tools. 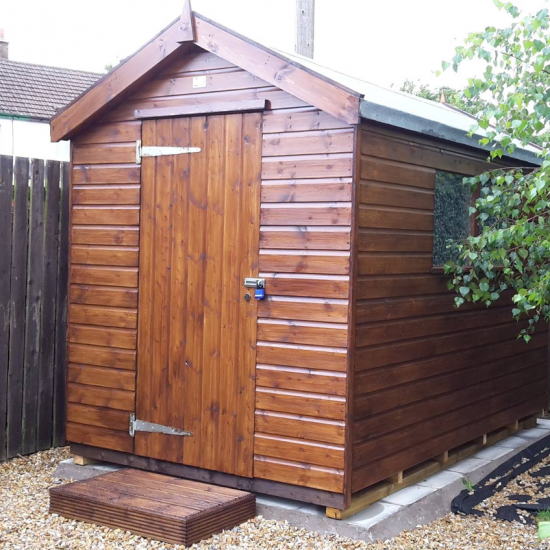 And, if you have ever done any small DIY projects, you are likely to have the equipment you are going to need, in order to install the new door yourself. If you are purchasing a custom-fit door, or if you are purchasing a very pricey door, you might choose to hire a tradesman at this point. You don't want to make errors in measuring, cutting, drilling, or trimming. This would be a great waste if you damaged an expensive grain of wood, or if you didn't properly install the new door. So, if you are considering a pricey door, you should contact a few tradesmen to get a quote, and have one of them do the new installation for you. 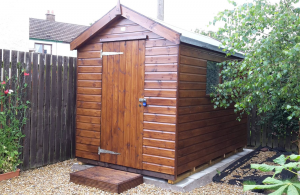 It shouldn't be too expensive and at least then you know the door will be fitted perfectly.